AGONAsport’s Nick Tsambouniaris looks back on the long and distinguished career of experienced Ethniki striker Kostas Mitroglou to date. 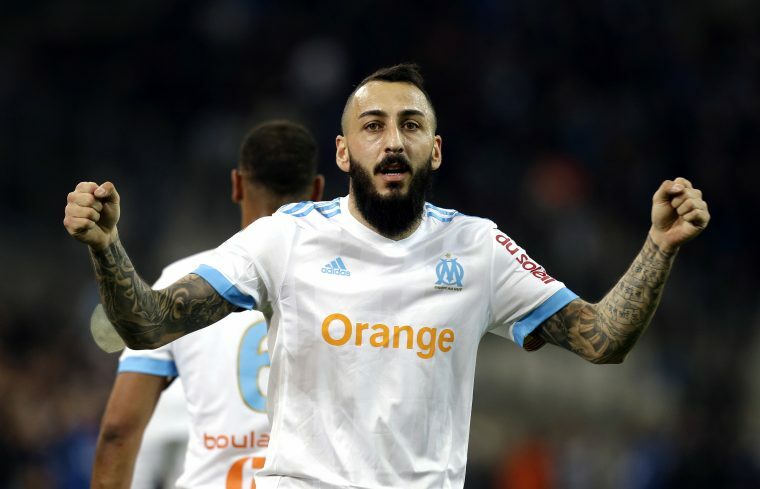 Kostas Mitroglou’s 1.5-year loan move from Marseille to Galatasaray has attracted much attention after many believed he was unfairly treated and criticised in France. The 30-year old striker can often portray a lazy footballer and frustrate fans, but his goal scoring exploits have never been in question. He has an eye for goal that has seen him score almost everywhere he has gone to and it has lended itself in taking him to seven different countries so far, as well as making him an international star. Born in the Eastern Macedonian city of Kavala, Mitroglou moved to Germany as a young boy with his family. Essentially a product of German football, he starred for Borussia Monchengladbach U19 with his 14 goals in only 10 matches. He then impressed in the UEFA Euro U19 Championship in a strong Greek team that went on to make the final of the tournament. This form led to Greek giants Olympiacos signing him in 2007, where he fitted in seamlessly and saw his playing time increase over time. By this stage, he had announced himself to the Greek football world with his goals and subsequent celebrations becoming a regularity. He was scoring in big derbies and also in Europe. However, in the 2010/11 season, Olympiacos boss Ernesto Valverde preferred Kevin Mirallas and Marko Pantelic over Mitroglou and as a result, his playing time became limited. 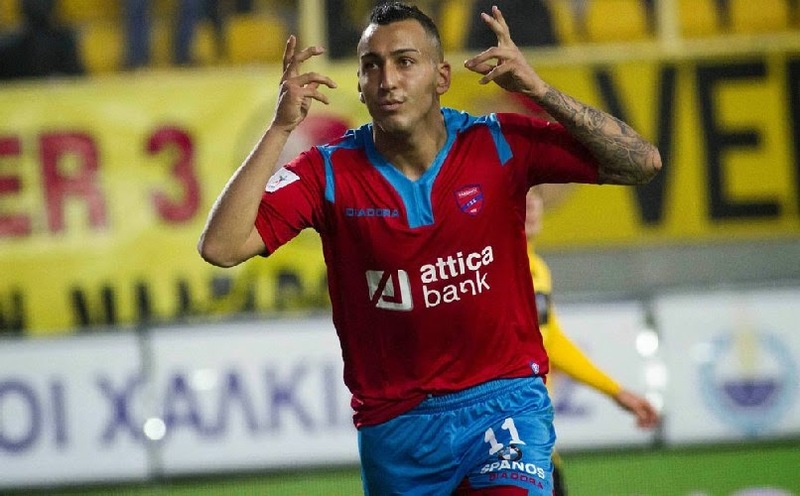 This led to Mitroglou joining Panionios on loan for the second half of the 2010/11 season. He became somewhat of a cult hero during his short stay at Nea Smyrni, where he helped the club avoid relegation via his impressive eight goals in 11 appearances. Mitroglou was again loaned out in the 2011/12 season. This time across Athens to Atromitos, where he again became a cult hero and enjoyed a renaissance during a historic season both for himself and the club. He scored a whopping 19 goals and assisted twice in 39 appearances for the Peristeri club, who made the Greek Cup final and the Greek Super League playoffs for the very first time. Ernesto Valverde departed the Reds and this time there was no chance of another loan move. His playing time under new coach, Leonardo Jardim, was not as much as many were expecting but he delivered in key moments when it mattered. He scored against Arsenal at the Emirates in the UEFA Champions League and in two seperate matches against Montpellier. It was during the 2013/14 season where his career genuinely took off and became one of the hottest strikers on the planet. He was a regular for Olympiacos and scoring for fun. He became the first and only Greek player to ever score a hat trick in the UEFA Champions League in a 0-3 away win at Anderlecht. He scored a hat trick 4 days later in a 6-0 demolition of Veria. He then followed it up with another European goal, this time against Benfica. By this stage, he had also helped the Ethniki reach back to back FIFA World Cups for the first time. He scored a well-taken brace in the home leg of the playoffs against Romania in which the Ethniki won 3-1. He then scored the decisive goal early in the away leg which finished 1-1 by springing the offside trap and expertly tucking the ball away. He was carrying the hopes of the nation at the World Cup in Brazil, helped Olympiacos reach the last 16 of the Champions League where a tie against Manchester United awaited, and signed a new long-term deal with the club. However, this is where it all changed. He received a nasty injury and became the most expensive Greek player courtesy of a mammoth 20 million euro offer from Fulham that was accepted by the Reds on Deadline Day of the 2014 January transfer window. He left Olympiacos after 7 years, 184 games, 82 goals, 20 assists, 6 league titles, 4 Greek Cups, and 1 Greek Super Cup. 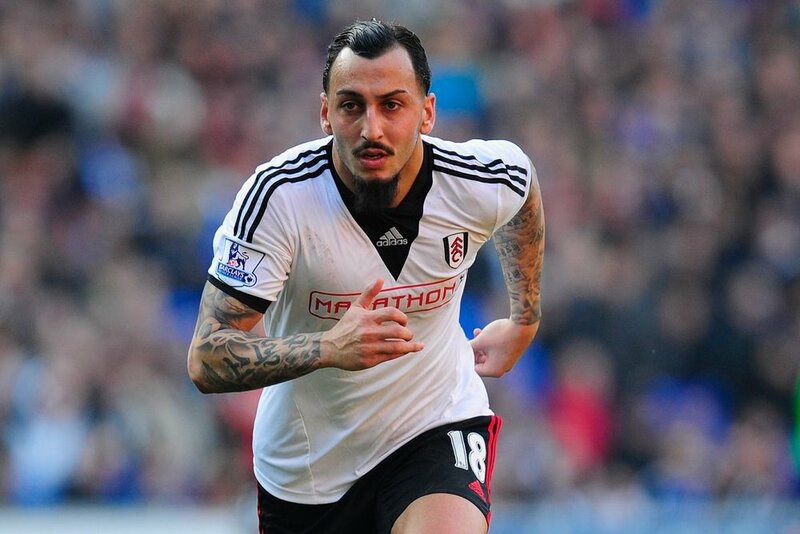 Mitroglou’s time in West London was ultimately a massive failure as he never really got going in the English Premier League in a Fulham side that got relegated. He only made five appearances and scored two goals. He was signed injured, on big money and never acclimatised. He carried this poor form into the 2014 FIFA World Cup, where he failed to score - although he did come close on several occasions in the Round of 16 match against Costa Rica and scored from the spot in the penalty shoot-out). He was never going to stay in the Championship on big wages and ended up on loan back at Olympiacos for the 2014/15 season. It proved to be a more productive season and a step in the right direction as he scored 16 goals in 24 games. Next season he was loaned out to Benfica (from Fulham), where he again enjoyed another fruitful season in front of goal and became a fan favourite. He became another Greek who enjoyed success at the club after Takis Fyssas, Giorgos Karagounis, and Kostas Katsouranis, and joined former Olympiacos teammate Andreas Samaris. His 20 goals in 32 appearances played a vital role in securing the League title for Benfica. He then signed a permanent deal with the club in a transfer of 7 million euro until 2020, however, that was short lived as he would only stay for a further season. He left Portugal with 62 goals and 10 assists in 88 appearances, as well as 2 league titles, 1 Cup, 1 League Cup and 2 Super Cups. Mitroglou seems to have a thing for Deadline Day moves, and this tradition continued when he signed for Ligue 1 club, Marseille, on a transfer of 15-million euro. He never really got going in France, as he was in and out of the team and was constantly being questioned. This pressure did not allow him to play his natural game. In spite of this, he still managed 16 goals and 1 assist in 50 matches, as well as playing in a Europa League final. Marseille went down 3-0 to Atletico Madrid, with Mitroglou a 74th minute substitute. Meanwhile, his record with the Ethniki currently stands at 17 goals in 65 appearances. He still appears to be the first choice striker for Greece, however, he needs to start finding his feet in front of goal at his new club. Firing the Ethniki to Euro 2020 would surely be the aim as he approaches the twilight years of his career and has yet to score for Greece in a major tournament. His most significant contributions for the Ethniki are undoubtedly his 3 goals against Romania in 2013 over two games to fire Greece to Brazil 2014, but also his goal in Brussels against a strong Belgian side in which the Ethniki registered a well-earnt 1-1 draw. 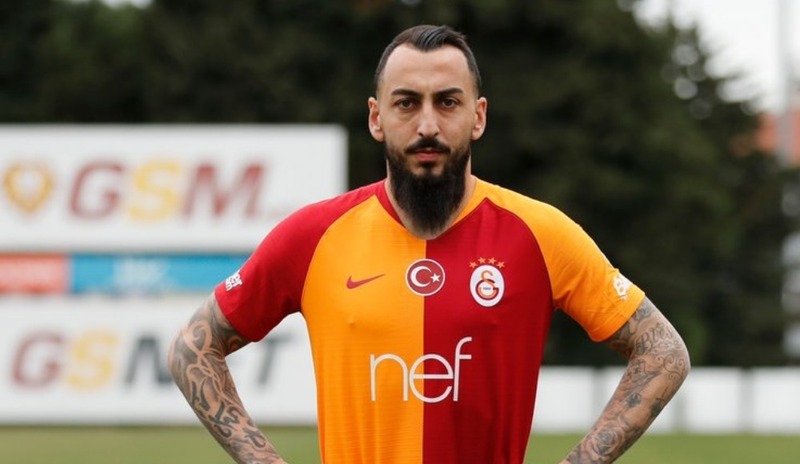 Turkey and Galatasaray becomes the eighth club in Mitroglou’s distinguished career, after scoring goals in Greece, Germany, England, Portugal, and France.